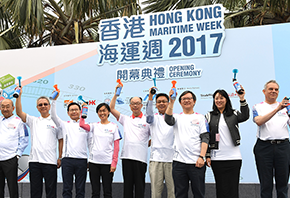 "Hong Kong Maritime Week 2017" (HKMW 2017), a major annual event of the maritime and port industries in Hong Kong, unveiled today (November 19) with the "Hong Kong Maritime Week Orienteering Race 2017". Riding on the success of the inaugural Hong Kong Maritime Industry Week last year, which received overwhelming support from various sectors, the Hong Kong Maritime and Port Board (HKMPB) launched the second edition of the HKMW this year in collaboration with the Hong Kong Shipowners Association and the Hong Kong Maritime Museum. Running for eight days from November 19 to 26, the event offers nearly 50 activities put together by 57 industry bodies, academic institutions and professional organisations for participants from the industry and general public. Officiating at the opening ceremony of HKMW 2017, the Chairman of the HKMPB and Secretary for Transport and Housing, Mr Frank Chan Fan, said, "Maritime and port industry is more than vital to the economic development of Hong Kong. Through the wide range of maritime services offered by some 800 local and overseas maritime-related companies, there runs a rich array of world-class expertise and experience, supported by a top-notch infrastructure. This has given Hong Kong an advantage that has served it well for many years." Mr Chan pointed out that in today's world with increasing competition and challenges, Hong Kong has to stay ahead of the curve and strive for excellence. 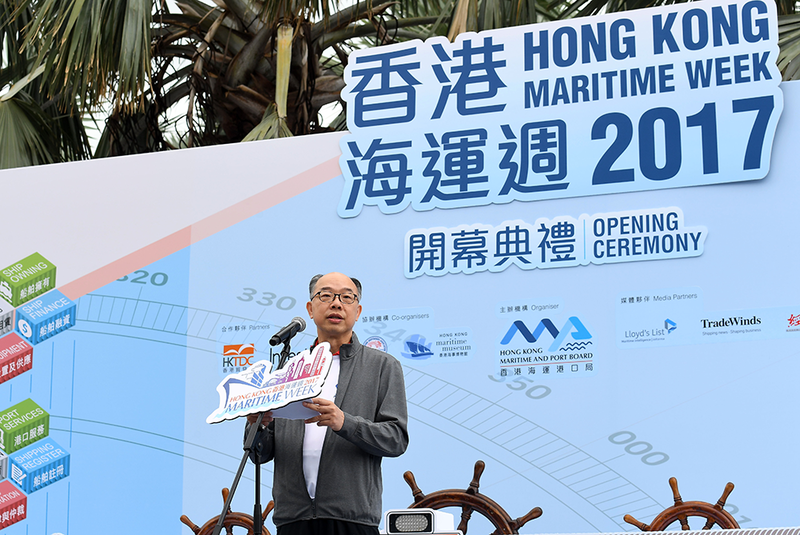 He thanked all of the event oragnisations, and encouraged the maritime and shipping community to work hand in hand to propel Hong Kong's economic development. 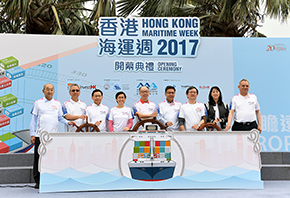 HKMW 2017 pools together maritime leaders and practitioners from the local community and abroad. Featuring an array of activities including the anchor event "7th Asian Logistics and Maritime Conference", business conferences and forums, visits, industry networking gatherings, competitions, exhibitions and more, it showcases the strength of the local maritime industry, promotes Hong Kong as a preferred base for operating maritime business and enhances the community's awareness of the industry and its contributions to the economy. 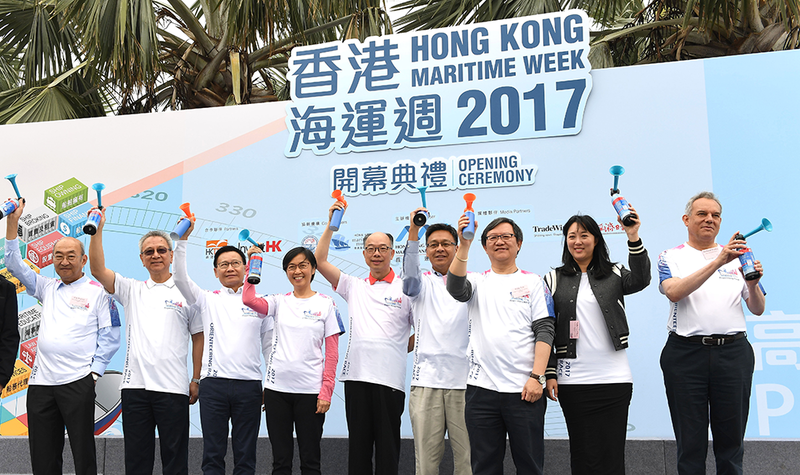 Heralding the start of HKMW 2017, "Hong Kong Maritime Week Orienteering Race 2017" drew more than 700 participants from the industry as well as the public. The orienteering race provided them with a better understanding of Hong Kong's maritime and port industry. 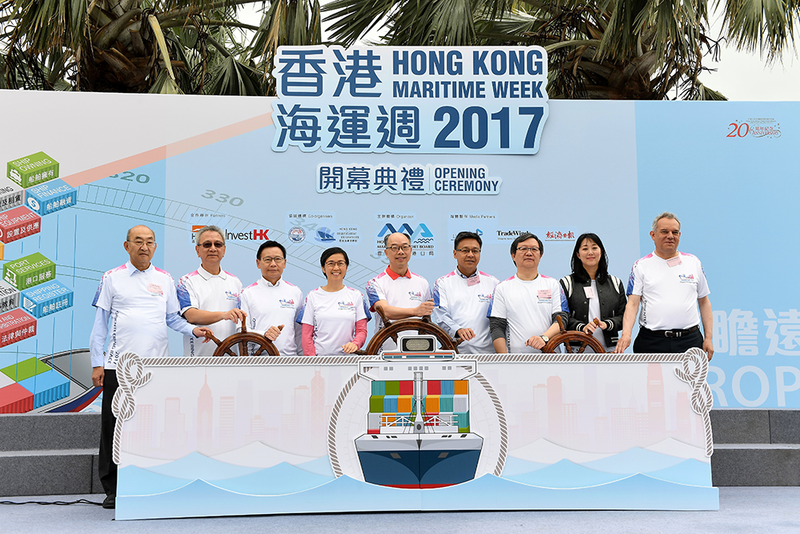 For details of the activities of HKMW 2017, please visit www.hkmw.hk.